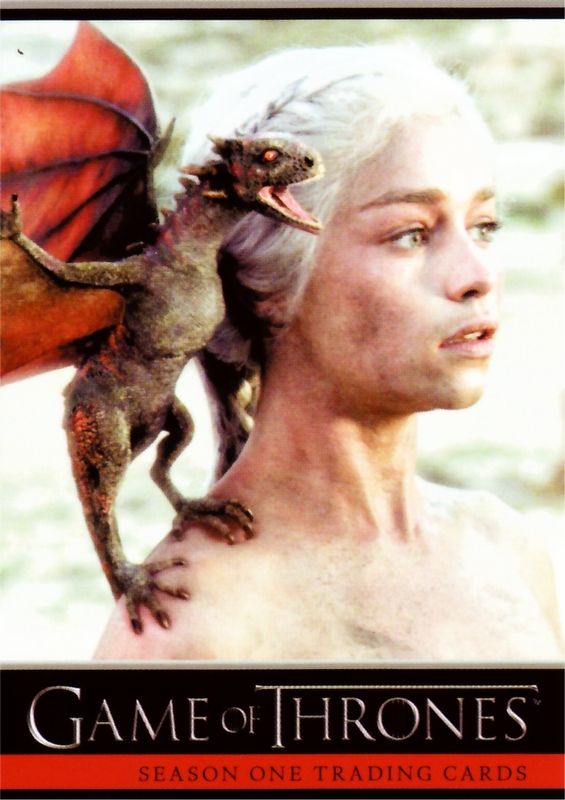 Every Game of Thrones Season One trading cards box includes 2 autograph cards! Signers include Peter Dinklage, Mark Addy, Lena Headey, Kit Harington, Michelle Fairley, Richard Madden, Sean Bean, and many more! The base set includes 72 cards, featuring detailed plot synopses for all 10 episodes, and biographies for more than 40 different characters. Bonus sets include die-cut House cards, "You Win or You Die" cards, and Shadowbox cards. Each case includes a Game of Thrones Title Sequence card. 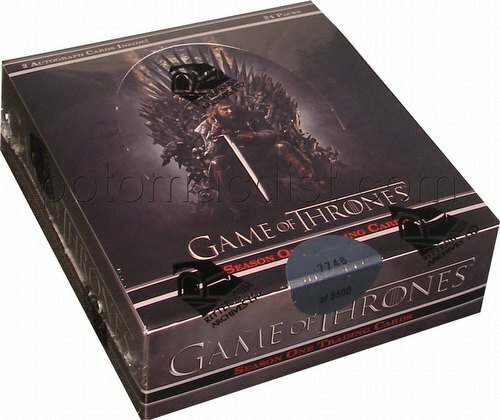 Case incentives include a 3-case Sean Bean (Lord Eddard Stark) autograph card, a 6-case Peter Dinklage (Tyrion Lannister) autograph card, and an 18-case Season One Archive Box (including all pack inserted bonus cards and autograph cards, including incentive cards!). Sean Bean and Peter Dinklage incentive autograph cards will also be randomly inserted into a limited number of boxes.